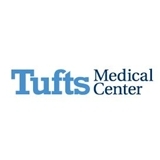 Tufts Medical Center - Gastroenterology (Boston) - Book Appointment Online! The Gastroenterology/Hepatology Division at Tufts Medical Center provides expert diagnosis and treatment of gastrointestinal disorders and liver diseases. Since our founding in the 1960s, our division has earned recognition for excellence in patient care and research. We first became widely known for the management of primary biliary cirrhosis and sclerosing cholangitis in the 1970s. The following decade, we became one of the first awardees of a National Institutes of Health grant that sparked groundbreaking research into digestive diseases at Tufts MC and affiliated entities. Doctor spent plenty of time with me, patiently addressed all my concerns and explained the possible root course of my issue. He scheduled further testing to make sure for the correct diagnosis. Doctors was respectful to my holistic approach to the treatment and provided me with options that were appropriate for me. Great experience overall! I think my visit was very useful. I got information which I need.